I think Colopl is trying to solve that powercreep issue, but people just don't know what they want. Powercreep reached climax with the release of Setsuna and Towa. These 2 girls had everything, tanky, powerfull, self heal, status guard. Then for mage upgrade they released Luca and Rain. Luca is pure support mage, she heals team, buff it, and can even revive teammates who died!! Rain is pure raw power, deals 1.5+ million damage in a single blow, but is squishy and can only heal himself when low hp with his motif. 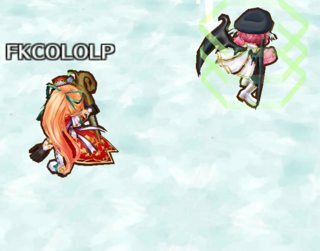 This clearly shows Colopl is trying to set again the unit roles in multi: dps needs a healer in the team. And then I read the jp players complaining about how Luca doesn't deal enough damage, and how Rain can't self sustain..
Today a new limited Christmas eve gacha was just released with the weapons. Jp players already complaining the units are not that good and not worth pulling for. It seems like they want the game to be powercreeped, and then they complain about powercreep lol. On a sidenote, they release very strong shinkis with Tetra at rank 1 atm. If you've been playing for quite some time and have some old jackpot/limited unit, you can manage well even without the latest unit from now on imo. To conclude, the free unit campaign gave me New Year Charlotte. I'm very happy about it!! Once you give players characters that can easily solo content, that becomes the new standard of expectation that new characters by which new characters are judged. Unique roles can lead to a more rewarding coop experience, but given the opportunity most players are likely to gravitate toward units that can handle content alone if available. Getting them to accept units that depend on others for support after solo-capable units have become expected is likely to result in disatisfaction. They just need to slow down the rate at which stuff gets buffed. By a lot. Make it so that the power differential between new characters is minimal. Find new ways to make new content interesting other than just making them numerically harder. Stop designing/adding monsters based on how many buffs or how many damage types your character is able to do at the same time, and instead design monsters that reward skill-based play instead. Remember: in the old old days, that's what made this game interesting; you defeated all the big monsters by knowing what kinds of attacks they did and when, not simply by having a character that facerolled them. That way, people who spent resources on getting a set of memorials gets to actually enjoy them for more than 1 month before they become obsoleted. It also means that if you miss this set, getting the next set will hopefully catch you up while the previous one you got can tide you over. Make the playerbase's overall progression a wave with a small plateau before the start of the next wave, instead of constant leapfrogging. Then again I haven't even logged in for more than half a year now, so I don't know how much the above still applies. I like how colopl is going with the distinguished memorial roles ( like with peak/ noah, rain, luca), but they also need to strike a balance with the difficulty of content. Maybe jp players are complaining when newer units are not that strong because the content dictates that they need to have some form of defensive ability. Like Hachi said, anyone who has Setsuna can faceroll content because she is incredibly defensive and can deal a lot of damage. If colopl scales the content down so that relatively recent and shinki'd characters can actually clear them (not with pure ease, but at least a fighting change). This is not really a good example, but the Christmas Shinkis were not that great. They can clear lower level content, but once you get to 13 star coops they will struggle alot compared to others, same with limited units from past events. Half of this is complaining about the difference between the power level of BTL shinkis vs. Christmas, but the other half is large concern on Colopl's treatment of older players. Older players can do well with free gems from events, but when the rolls using these gems do not give anything worthwhile, veterans will have to rely on shinkis and their currently existing (possibly subpar vs. new content) units. I agree with Slope on skill-based characters. I think that characters that have unique mechanics/playstyles that reward players on how well they execute their unit would be really healthy to QoL. Does anyone here still play this game? Nope. I logged on to collect a few stones awhile ago during one of the events. Did a few 10+1s using whatever I had then, got literally nothing, then closed the app and haven't opened it since. Kind of burned out on F2P games tbh, and enjoying playing some real games these days. Kinda did the same thing, logged in after god knows how long..did a 10+1 and got literally all 2-3 stars, procceded to delete the app again after 10 mins of redownloading it. Shironeko gacha system is an utter failure, 0 returnee tactics. Most of the people that left the game due to rngesus will most likely leave again in 5 mins flat after returning. I still play, rngeezus keeps giving me memorial units. Though, they have been pushing only memorials this year since the NY event batch, which is not a sustainable means of keeping players interested unless they get some luck eventually. This new event has you able to date the three new mems... (Characters not required). And they've added a stamp system for gacha-every time you do a 10+1 you are rewarded with things from 5x books to EX runes to temporary memorial swords. Pretty cool. Dunno if it will stay after the gacha. I got a PS4 Pro to play HZD. Was sooooo good - already can't wait for the sequel. I have a backlog of a bunch of games I bought/have but never got around to playing beyond the first hour, that I'd like to revisit. So far I've finished Tomb Raider (the 2013 series reboot) on my PC, and started on the sequel. But near the top of my queue are The Last of Us (yeah I missed that train many times over), Nier: Automata, and MGS4 & 5. Not sure I'll ever get around to MGS, but I'd like to finish it one of these days. I logged for the anniversary event and there are a lot of free stuff. 1 free character, 2 free weapons (choosing 10, get 1). There is also 3 free 10+1 roll in any last year memorial gacha (yukimura, Mana...etc). Well, based on the HK podcast dudes, Yukimura is like the most OP thing in the game ever, so grats. I also signed on recently to do my free 10+1s. Didn't get anything worthwhile. But with the last 250 stones I pulled the gacha that has Anna in it, and managed to get both her and the DR dude in the same pull. Didn't know about the Weapon thing. I'm guessing the date has passed for that, right? Super busy with life lately, and miraculously I'm still playing DWUnleashed. As a sidenote: appmedia still ranks Tetra Rider as the top-tier char. Is that really true? I'm not even sure anybody here plays this any more.